A real factual post with no sarcasm (rest assured sarcasm will continue in future posts). Units have a fixed glass front which seals the gas burner and combustion firebox off from the interior space. 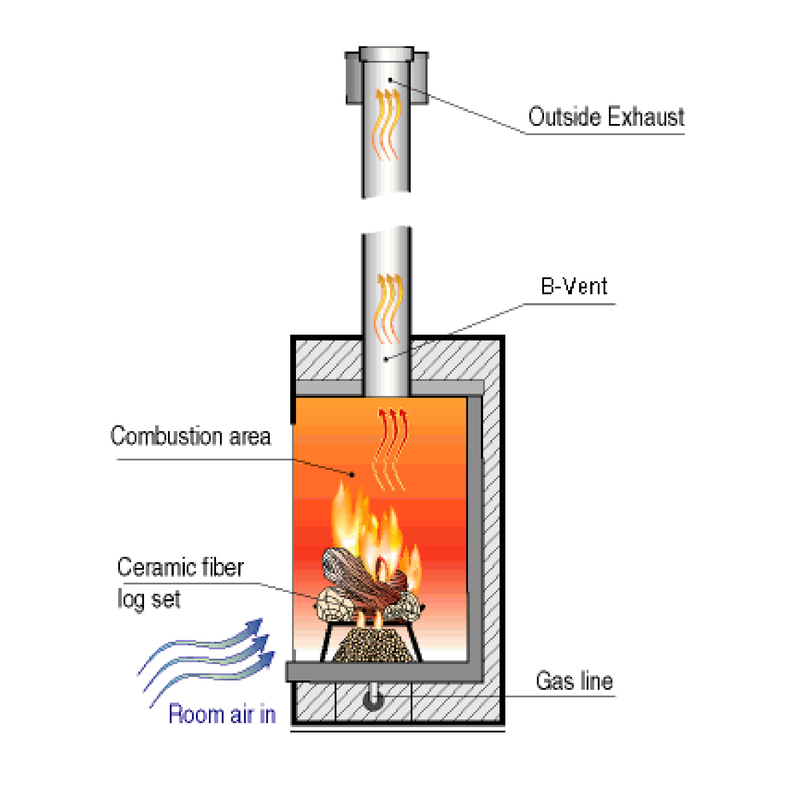 100% of the combustion air used by the fireplace comes from outside the building through a pipe. 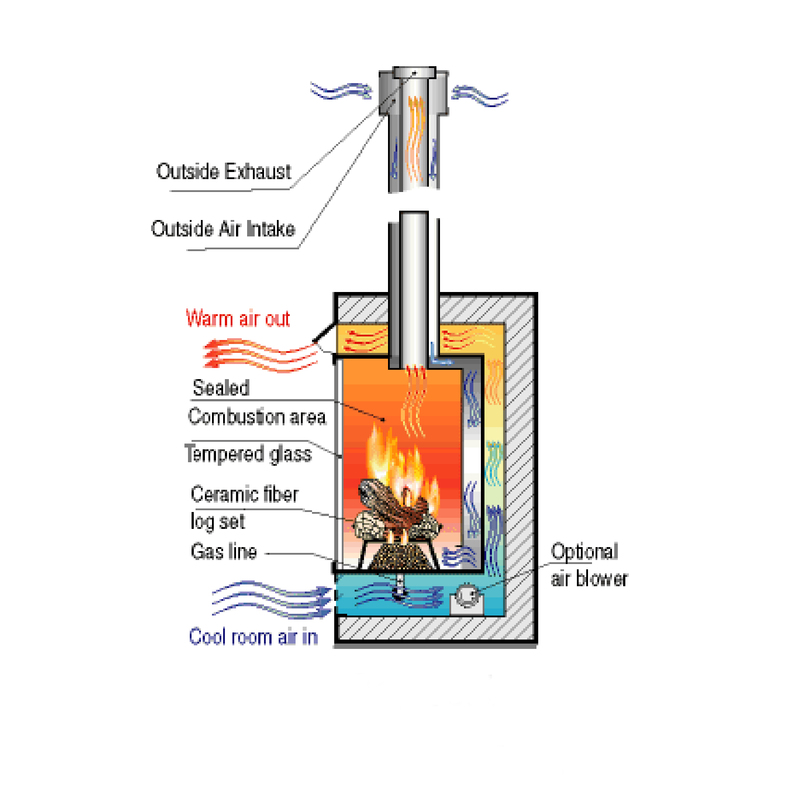 A smaller pipe eliminates all combustible gases, maintaining indoor air quality. The vent can be run horizontally through an outside wall, or vertically through the roof. Maximum vent lengths are per the manufacturer (40’ vertical is typical). Should actually be called ‘space vented’ since the by-products of combustion all spill back into the room. The single largest by-product of the gas combustion process is water vapor. Typically these units cause excess moisture in a well built, tightly constructed home. Excess moisture inside the home can contribute to odors, mold and mildew inside the home. Room volume vs. the actual unit must be coordinated. In addition, many jurisdictions will not allow them in sleeping spaces. 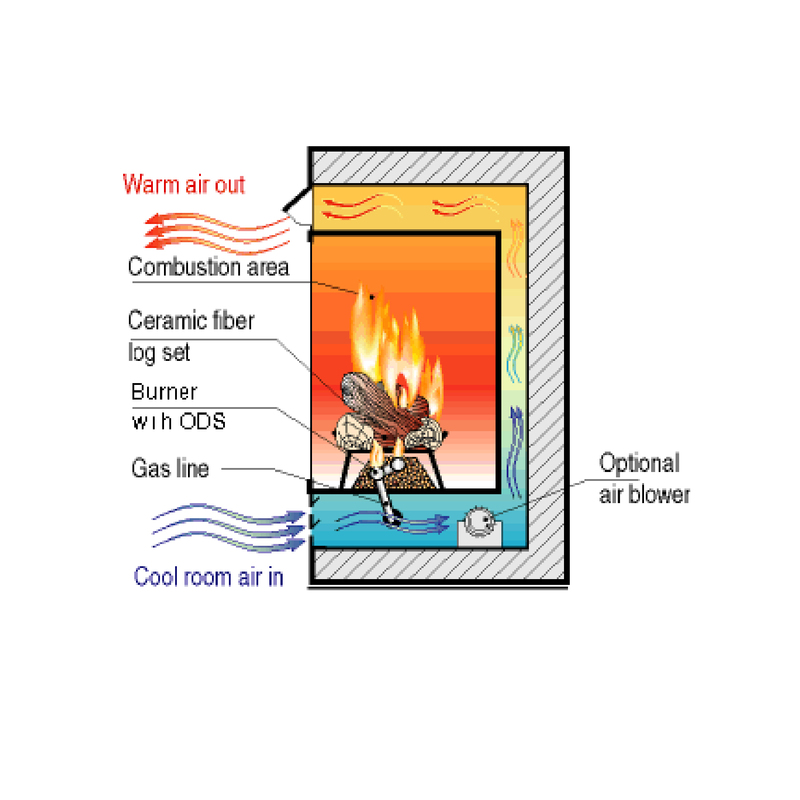 Must be vented vertically (limitations on 45 degree elbows) and uses fresh air from inside the home to provide oxygen to the fire. B-vent units are not a completely sealed system. Primarily for decorative use. **I believe the images were at some point obtained from Heat-N-Glo; if so all credit goes to them and a thanks from me to them……if not, inform me if I’ve used copy written images and I’ll remove them or send you kindling, your choice!